My Blog – Sharing my interests. If you are like I was and do not like eating large quanitites of radish then this dish is for you. Before tasting this I thought it must be really pungent but strangely it is really delicious and you can eat in large quantities. 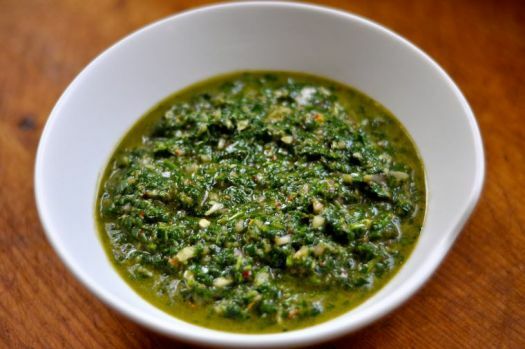 Add everything to a food processor and prepare a finely chopped salsa. Serve with rice/roti/steamed sweet potato chips/banana chips or eat as is. Finely chop all ingredients except avocados. Mix all the ingredients well. 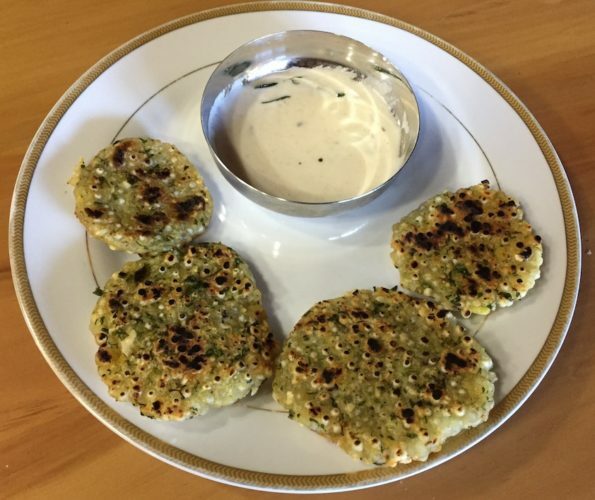 Serve with steamed sweet potato or banana chips or with roti. Make a powder of dry spices. Chop other ingredients into big chunks and then chop in the processor (the processor needs to be very clean and dry so that the preparation stays well for a long time). This masala paste will last for months in refrigerator. Use while cooking curries, soups, one pot rice dishes. This recipe is for a large family of 5 for 10 days, change the measurements as per your needs. Around 10 years ago when I was in the USA I learnt about how cows are factory farmed in inhumane, unnatural conditions and fed with hormones. I decided to go vegan for 6 months and see how I felt. 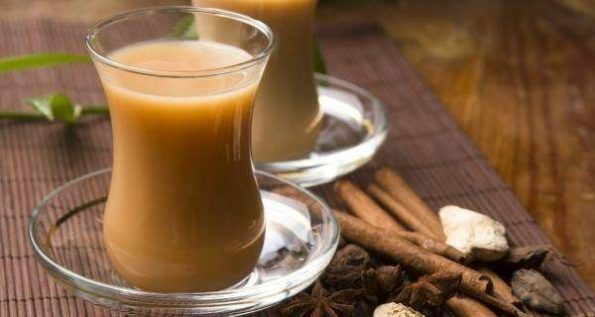 The most difficult thing for me was to get rid of the so called “Indian tea”, made by boiling milk, black tea and sugar. I had a hard time drinking bland tasteless herbal teas. But I told myself it is just a matter of 6 months, honey! Take it as an exercise of will power and self control. And by the end of 6 months I had started liking herbal teas, my taste buds seemed to have become sensitive and not wanting a strong “kick giving” tastes. I wanted to give myself a treat with Indian tea. Started making myself the treat! And guess what…I could not bear the smell of it! I had to go out of the house while it boiled. After coming back I poured it into my cup and tried drinking it. But I felt like throwing up. Instead I threw away the tea. I was very surprised how my taste buds had changed. Think for yourself what could be the health benefits of the Indian tea and then think for yourself what could be the health benefits of herbal teas (mint, lemongrass, bergamot, tulsi, oregano, thyme, and so many more). 1 tsp of xanthum gum powder(dinka in marathi). This gives the tea the desired thickness. 2 tsp of garam masala husk. Mix all ingredients except honey. Boil until the quality halves. Let it cool a bit and add honey and drink warm! 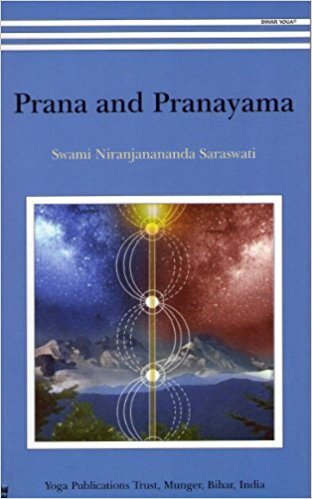 Am reading this book by Swami Niranjanananda Saraswati on pranayama and practicing pranayama after taking a yoga teacher training course in India and I feel so sad for knowing about pranayama so late in my life. I wish those who read this post get to know about it and teach their children Pranayama at an early age. Below I am sharing some excerpts from the book, sans the scientific jargon! 1. With sustained practice of pranayama, the structure, the skin and the smell of the body begin to change. 2. One is full of fresh energy and the senses are calmed and their outgoing tendency diminishes. 3. Impurities are removed not only from the physical and panic bodies, but also from the mental, psychic and causal bodies. 4. The intellectual capacity increases and the mind and thoughts become more powerful. 5. Negative tendencies begin to top off almost automatically. The small things that could earlier spin one out of control dissolve into nothing. 6.It creates static electricity in the body thus recharging the positive ions breathed in from the environment and converting them into negative ions. The effect is the same as that created by rain and thunderstorm. 7. Contrary to popular belief, the oxygen intake reduces by almost half in pranayama, does NOT increase. However, pranayama allows more time for oxygen to mix wth the blood, more time to eliminate waste through breath and blood. After pranayama, the strengthened respiratory apparatus is able to bring in more oxygen through the rest of the day. 8. All organs are massaged making the digestive and eliminatory system healthier. 9. Exercises whole cardiac system, especially Nadi Shodhana is excellent for Hipertensive people, as it brings the systolic-diastolic ratio to normal. 10. It harmonizes, purifies and neutralizes the secretions of the endocrine glands. During certain pranayama the circulation of the blood becomes very rapid and quality of the blood is also rendered very rich, the endocrine glands function in enhanced way. 11. Transition from childhood to adulthood becomes smooth if children start practicing pranayama at the age of 8. This is because pineal gland normally begins to decay with the onset of puberty. Pineal gland acts as a check for the pituitary gland. Pituatary gland is responsible for controlling the growth and functions of the other endocrine glands. If the pituitary gland is not regulated form an early age, an imbalance arises between the physical and mental development and the emotions mature before they can be handled. To prevent the decay of the pineal gland, children should start practicing pranayama at the age of 7 or 8. 12. The spine receives a pull during pranayama, thus toning the nerve roots and giving a strong stimulus to the whole nervous system. 13. Alpha waves are emitted and beta waves are reduced in the brain. Alpha waves bring harmony to the brain. I stopped eating fried food many years ago. 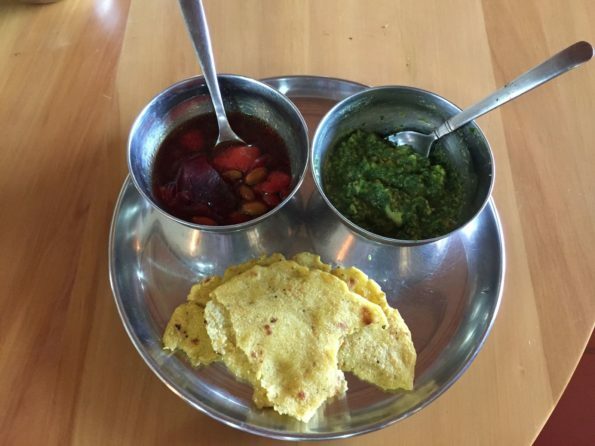 And so I could not eat sabudana vada anymore. 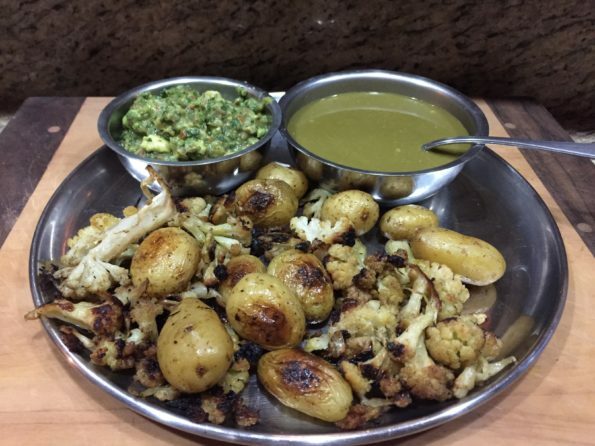 All these years I was making only Sabudana Khicdi at home. 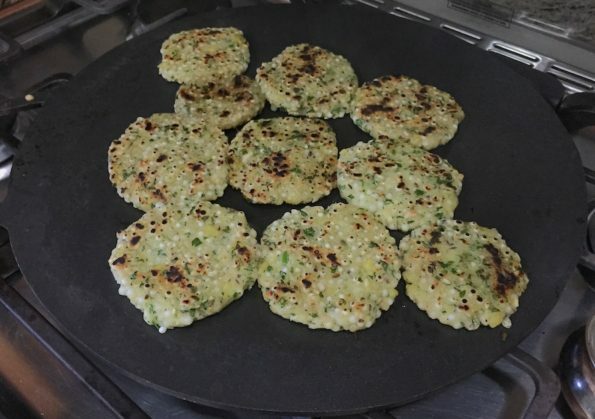 Today I tried sabudana vada on tawa. It was super delicious and needed very less oil to cook. 1.5 Cup Tapioca Peals/Sabudana soaked overnight. Make sure to just cover the peals with water. Too much water will make them soggy. 1 Cup ground crunch peanut powder. Use a stone mortar for better taste. Mix all ingredients well so that it makes a binding mixture. If it does not bind sprinkle some water and mix the ingredients again. Massage with the hands like you would do to make a dough. Heat the pan, make small balls of the mixture, flatten in your palms and spread on the pan. Brush with coconut oil. Once done on one side turn over, brush with coconut oil and remove when done. Alternatively you can bake them. Serve with buttermilk. I am a vegan so I used almond milk, salt, lemon juice mixture and gave it a tadka/tempering of mustard seeds, cumin seeds, curry leaves. I wish to share how I slow cook at home. 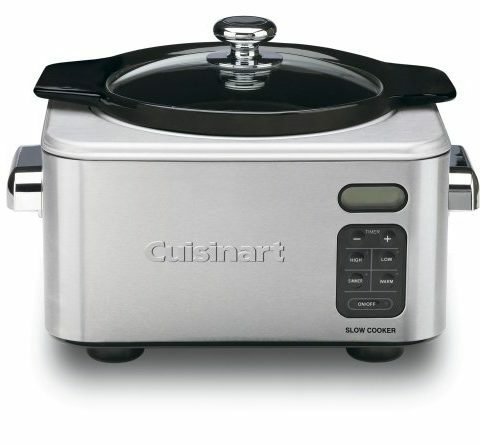 I had started steam cooking after reading its health benefits as it retains the most nutrients. But gradually I realized by how much it reduced my time in the kitchen. 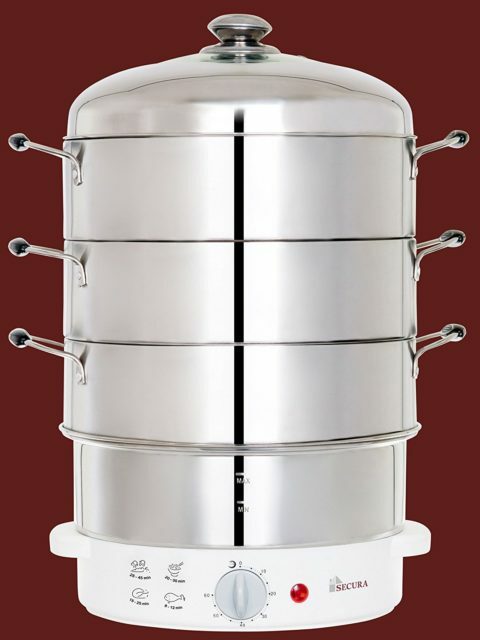 I have the below steamer, it has a timer and 3 tiers. I can put rice, vegetables to make a curry at the same time. But that is not the real advantage for me. The real advantage is that I can work in the garden, go for my evening walk, clean my house, do yoga, sew or practice violin WHILE cooking. And if I do not return on time, the food does not get burnt, instead it stays warm for many hours! 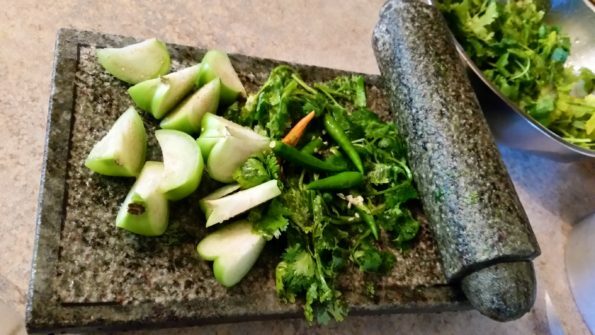 Now with so much time saving, I have started to think of going back to traditional grinding for making chutney and am going to buy a silbatta of stone!